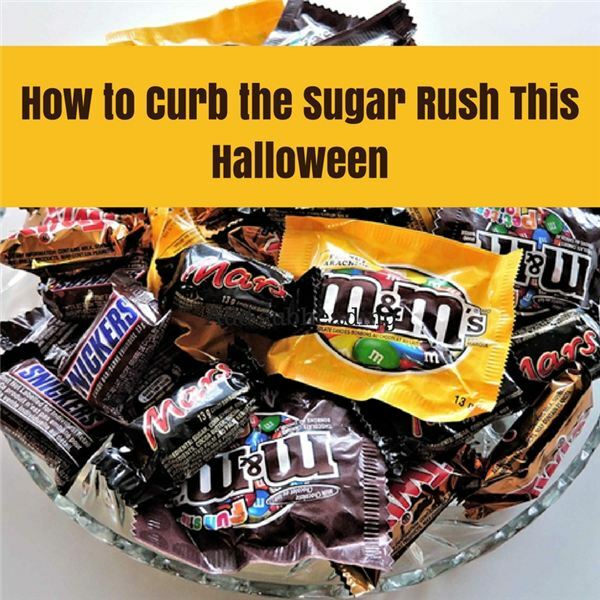 It’s a known fact that an overload of sugar from candy can affect a child’s behavior and we all know that sugary sweets are nutritionally void contributing to tooth decay and obesity. According to the USDA (United States Department of Agriculture), people consume too much sugar per day. Fortunately, parents and educators can still make Halloween fun without overdosing on sugary treats. Here are a few ways to manage the sugar rush. Engaging children in Halloween activities, such as making crafts, costume parades and games may be the trick to take off the emphasis of candy. Studies have shown that little ones are just as happy to choose small toys over candy, as well. Package excess candy and make care packages for the military soldiers overseas. Donate candy to the elderly at nursing homes. Some dental practices collect excess candy and in exchange give money or gifts to the children. Save hard candies for use on Gingerbread Houses and other holiday ornaments. Some candy can be used to decorate baked goods. Chopped chocolate can be mixed into the batter of cakes and cookies. A few pieces of wrapped candy can be used on treasure hunts during a rain or snow day. Halloween is the perfect time to teach children about healthy choices with food. What is a nutritious snack versus a junk (empty calories) food? Engage in discussions and make charts. During Halloween, make a large pumpkin shape from cardstock and draw a black line down the center. Label each column as Happy Foods and Unhappy Foods using stick happy and unhappy faces at the top. As you have your conversation with the kids, mark the foods they suggest in the correct columns. Explain that small indulgencies are normal, but excess in undesirable foods is not healthy. Remember that if you are too strict, children may tend to hide their candy from you. The key is to moderate use of Halloween treats and to offer other fun healthy fall goodies like a stuffed apple with peanut butter, roasted pumpkin seeds or a yummy fall fruit smoothie. Dentists suggest that kids eat their candy after a meal, as the saliva that is in abundance during eating helps to neutralize the acids that attach to teeth. Never eat candy just before bedtime. We emphasize brushing teeth twice a day, but brushing or at least rinsing the mouth with water after consuming candy any time of the day is necessary to ward off decay. Dentists feel that sticky candy is the worse for teeth. Sweets such as gummy bears, jelly-type candy, lollipops and hard candy are in the bad category. Oral doctors like chocolate better as it melts quickly and spends the least time clinging to the teeth. This article gets us thinking as to what we want to give to trick-or-treaters this Halloween and which candies are best for our own children. Don’t take the holiday away — just keep it in moderation!